Objective : The three years Distance Learning B.A. Hons. (TRIPOS) Degree in Economics being conducted by The Global Open University, Nagaland has been designed for meeting the demand of the growing needs of experts in the fields of development and planning, money banking and international trade, public finance, micro, macro, monetary, agricultural and labour economics, managerial economics, international economics. Award : B.A. (Hons.) Degree in Economics shall be awarded to all the successful candidates by The Global Open University, Nagaland. Economics is the social science that analyses the production, distribution and consumption of goods and services. Economics aims to explain how economies work and how economic agents interact. Economic analysis is applied throughout society, in business, finance and government, but also in crime, education, family, health, law, politics, religion, social institutions, war and science. The expanding domain of economics in the social sciences has been described as economic imperialism. India and other countries do need experts in this field for teaching and research besides planning and administration. Those completing their B.A. (Hons.) in the area of Economics may be admitted to M.A. Degree in Economics if they wish to enter the areas of teaching, research and consultancy. 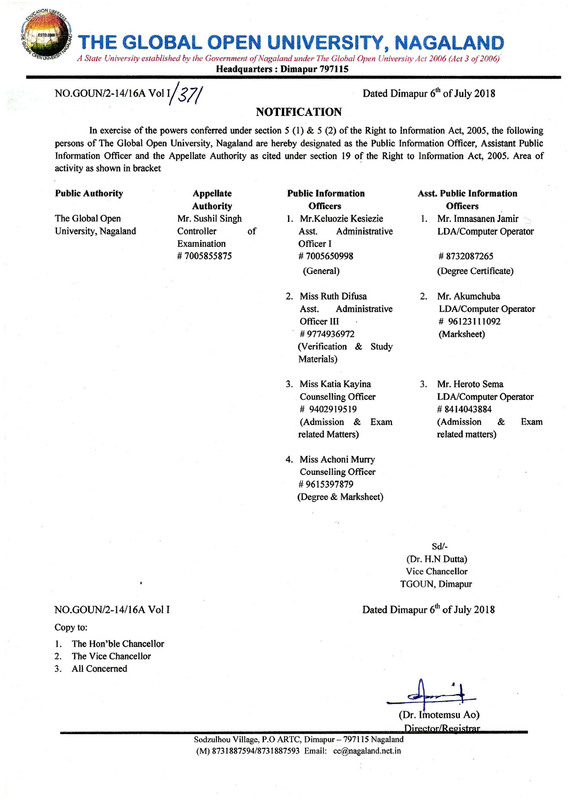 Accordingly, the Application Form duly filled-in along with four stamp size photographs, copies of certificates and mark sheets and a Bank Draft in the name of “The Global Open University, Nagaland” payable at Dimapur must reach the Admissions Officer, The Global Open University, Sodzulhou Village, P.O. - ARTC, NH-39, Dimapur - 797115 Nagaland by registered / speed post only.